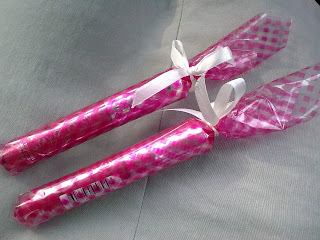 I am very lucky to be choosen by Rimmel London to review their STAY GLOSSY lip gloss. The packaging is quite nice and it mentions "Up to 6 hours last & shine lip gloss" there. The lip gloss maintains 24 months lifespan once opened. 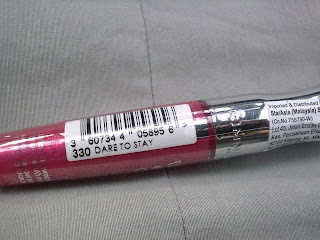 We were given 330 Dare to Stay to try. From the bottle itself, it looks quite pinkish. But when I apply it to my lips, the color changed to a lighter pink. wow.. that's somekind of watery reflection wind shield power on ur lips!!!!!!!!!!!! looks so wet-licious ! 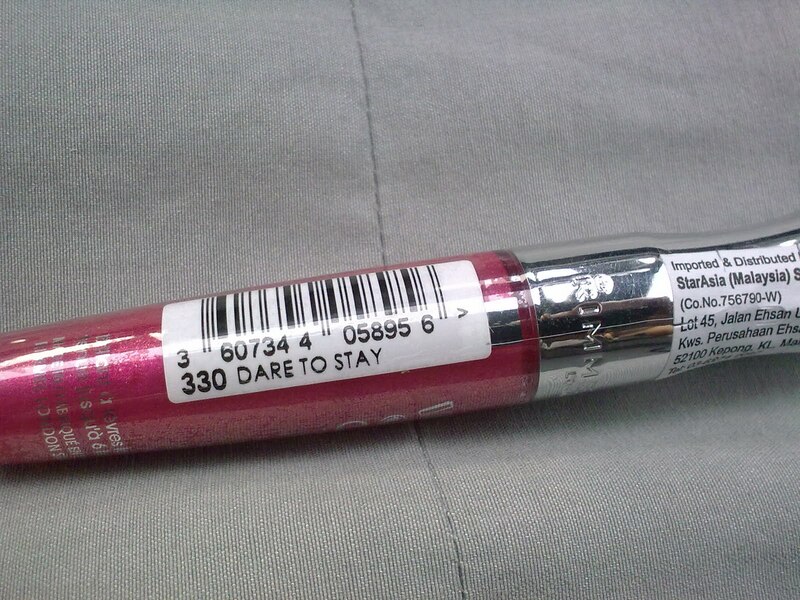 Nice onee.. wonder if after kissing , the gloss still stay or nottt.. Hahaha !! let's find a man and test it out!! great idea~~maybe we can use it as the NEXT test for all our FB fans...to test the product on your man!! Awesome!! Love the gloss...u should show us your WHOLE face with FULL MAKE UP to go gai gai mah!